There's nothing I love more than a simple roast chicken recipe that fits into my low carb ketogenic diet and is also drop-dead gorgeous. 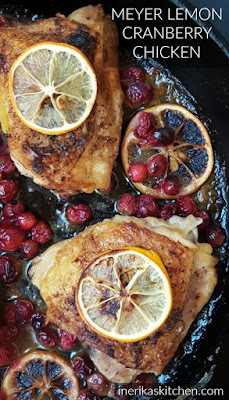 Meyer Lemon Chicken with Fresh Cranberries cooked in my cast iron skillet is just beautiful, isn't it? Golden chicken skin. Orange-yellow Meyer lemons from my backyard tree. Ruby-red cranberries. I love looking at it. Eating it is pretty heavenly, too. I made this yesterday for our very small Thanksgiving lunch. We had a change of plans this year because my 15-year-old son got sick. We were supposed to travel to northern California to visit my in-laws, whom I adore. But we didn't want to bring them his germs, and he wasn't feeling up to making the trip. So my husband went to share the holiday with his parents, and the teen and I stayed home and spent the day in our pajamas. I made him hot honey lemonade and soup, and we both had roast chicken for lunch. I bought a bag of fresh cranberries because they were so beautiful...but then, in my current mode of avoiding sugar, juice, and most natural and artificial sweeteners, I wasn't sure what to do with them. News flash: cranberries without sugar are like tiny red lemons. 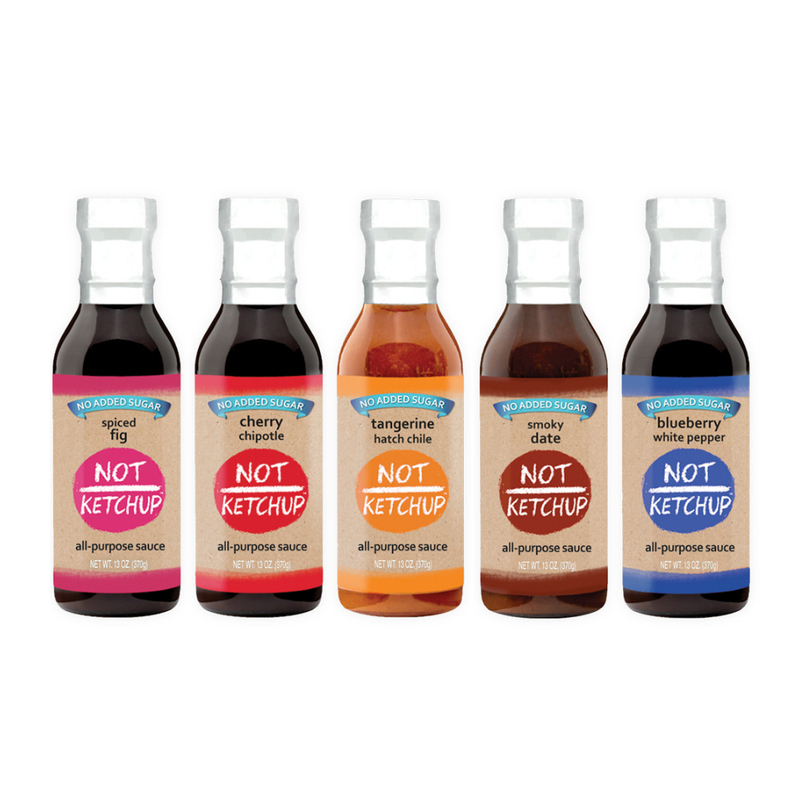 I love the tartness paired with savory chicken thighs and didn't miss the sugar at all. Notes: Frozen cranberries would work fine, as would regular lemons instead of Meyer lemons. Don't skimp on the salt and pepper. Roast chicken thighs with fragrant Meyer lemons and fresh cranberries for this drop-dead stunning skillet dinner. The cranberries are very tart, but that's what makes the dish work. Resist the urge to add sugar - you don't need it. Heat the oven to 325 degrees F.Heat a large ovenproof skillet over medium-high heat. Sprinkle the chicken thighs liberally with salt and pepper on both sides.Lay the chicken skin side down into the hot skillet. Cook without moving for 5-7 minutes, until the skin is golden brown and crisp.Turn the chicken thighs over and turn off the heat. Lay one beautiful slice of Meyer lemon on top of each piece of chicken. Scatter the remaining lemon slices and the fresh cranberries around the skillet. Slide the skillet into the oven. 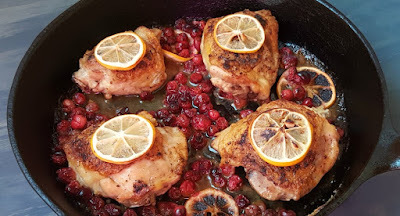 Roast the chicken for 50 minutes, until it is cooked through and the lemon slices on top have begun to caramelize.Remove the skillet from the oven. Serve immediately. Erika, your pictures are amazing! And everything looks absolutely amazing. Can’t wait to try this!